Hey, it's the 4th of July, so what could be more patriotic than to remix the cover of a single that has USA in the title. 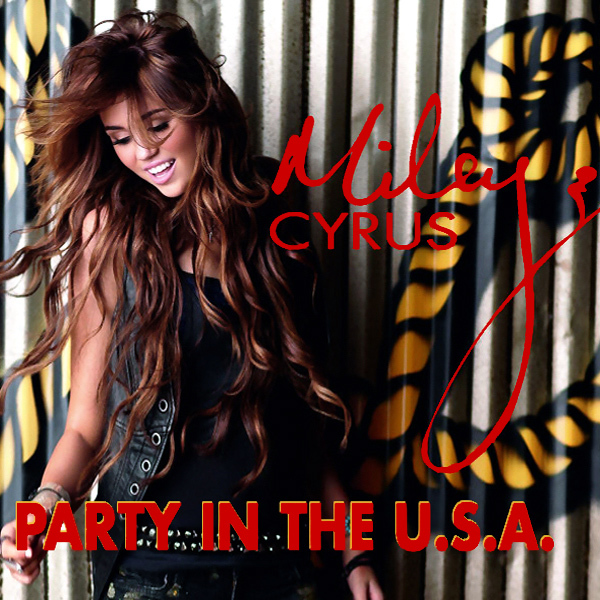 Party In The U.S.A. was a 2009 hit for Miley Cyrus, who at the time was just breaking out of her Disney inspired cutesy phase and becoming an irksome teen. Now she is know for her lurid behavior so it only seems right to remix the cover of her single with a babe attired in more the kind of outfit we would expect Ms Cyrus to wear e.g. nothing at all. Stripey!